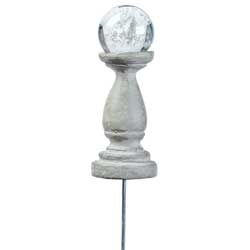 Mini Gazing Ball - Diamond Crystal Gazing Ball For Miniature Fairy Gardens. #61040. Overall 2.75"h (w/out pick); Ball is 1" dia..